While the world waits for Nintendo do something - anything - constructive with its enviable back catalogue of games on its latest console beyond giving us a few dusty old NES titles, there's a burgeoning community which aims to harness the power of vintage hardware to experience the best titles that gaming has to offer with modern-day benefits. Some of these options are multi-platform, such as the Open Source Scan Converter, while others are system-specific. All have a single purpose in mind: to make it as easy as possible to play legacy consoles on modern televisions, and they're becoming more elegant and hassle-free with every release. 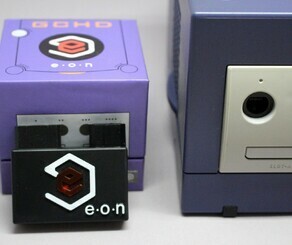 We've already seen the GC Video Plug n Play 3.0 adapter for the GameCube which simply plugs into the back of your console and delivers crisp visuals on your flatscreen telly without the need for intrusive internal modifications; now, there's another option on the market by the name of GCHD, and while it offers very much the same experience, it does have some additional benefits. For starters, it looks a lot prettier. 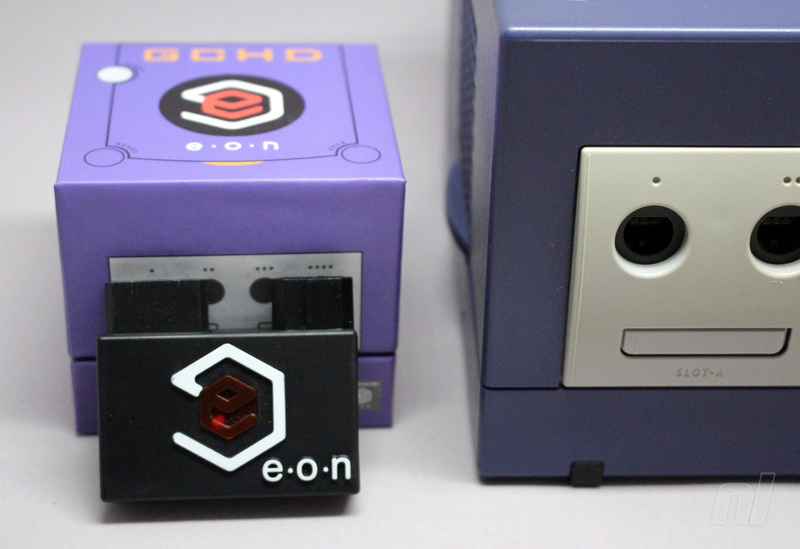 The previous adapter was 3D-printed and looked rather ugly; it also felt a little delicate, especially when the HDMI cable was inserted and it was slotted into the back of the GameCube; the whole assembly stuck out the back of the console in a rather unsightly fashion. Mercifully, the makers of the GCHD have taken note of these shortcomings and have created a unit which is a lot easier on the eye, as well as more agreeable from an installation perspective. The unit is bigger than the previous GC Video Plug n Play 3.0, and slots into both the Digital AV Out port and the Analog AV Out port. 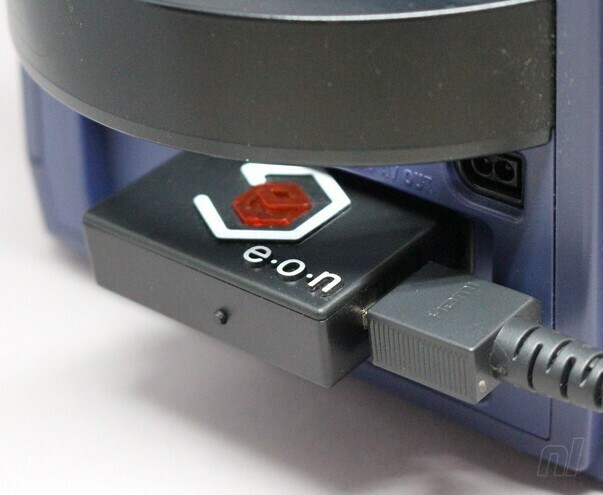 However, the connection to the latter is merely for stability; it doesn't interface with the Analog port in any way, but rather uses it as a means of making the unit more sturdy when it's locked in place, and less likely to be accidentally dislodged. 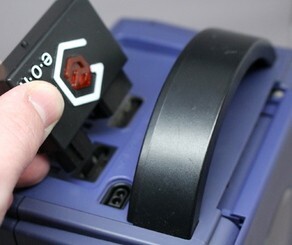 A friendly LED tells you when the unit is working, and the HDMI port is located on the side rather than on the back – which will come as welcome news to those of you who experienced difficulty getting your Plug n Play 3.0-enabled GameCube to fit into the cramped media unit beneath your TV set. Beyond that, this does appear to be almost identical to the Plug n Play 3.0. It takes the digital signal from your GameCube and converts it to HDMI; no upscaling is applied so you're very much at the mercy of how your TV handles sub-HD images. We tested this unit on a 42-inch HD Sony Bravia and 46-inch 4K Panasonic set, and found the image on the Sony looked ever-so-slightly better. Compared to the signal you'd get from composite or even RGB SCART, it's a definite improvement and is even better than the near-legendary quality the fabled (and insanely expensive) component cable delivers. It's not quite as crisp as the image we're used to from our beloved OSSC, but that device upscales sub-HD video and costs a lot more to purchase. Considering there's no upscaling and therefore zero lag, what the GCHD cooks up is impressive. You can pair the device with pretty much any remote control you have lying around the house and access an on-screen menu from which you can tinker with various settings, the most interesting of which is the scanline option. 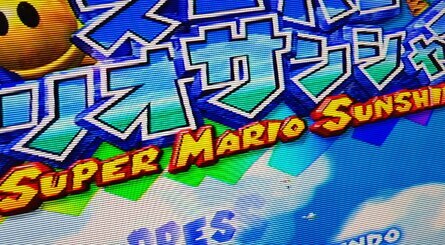 Most GameCube owners will have played their consoles on old-fashioned CRT sets back in the day, so applying scanlines may give you a more authentic image; closer to the one your memory recalls, anyway. 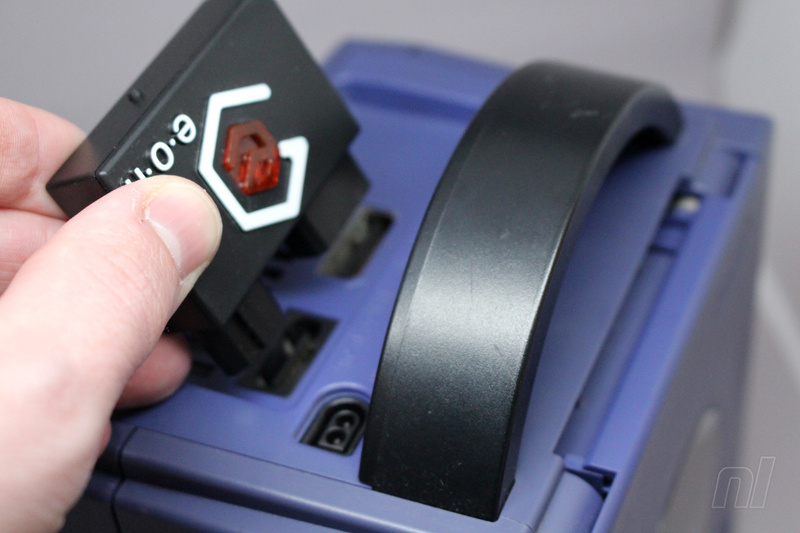 While there's not a lot different here from the Plug n Play 3.0 we reviewed a while back, we do prefer the vastly improved design which fits more snugly into the back of the console. Outside of that, however, there's little reason to upgrade if you already own the Plug n Play 3.0; this device is recommended instead to those who have yet to take the plunge into the exciting world of HDMI adapters for legacy systems. Sounds great, but man - that price. > It's not quite as crisp as the image we're used to from our beloved OSSC, but that device upscales sub-HD video and costs a lot more to purchase. It doesn't cost that much more! Stuff to think about though. 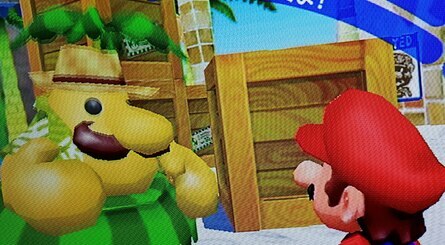 I've been considering digging out my GCs again, because I'm fed up waiting for a Super Mario Sunshine HD. I have both PAL and NTSC 'cubes - does it work well with both? Holy expensive price batman! Surely you can get a composite to hdmi converter for £30 rather than this? Granted it won't look as nice - but it's £100 less! @Sinton It’s cheaper to buy a Wii and a Wii2HDMI adapter! All this money for the sake of...what...a different piece of plastic to house the hardware?! For 129?! You could get a Wii (50) with a hdmi adapter (20) on amazon instead. Oh this looks intere....HOW MUCH?!?!? I picked up one in March as I have loads of cube games and wanted to use my GB player which the Wii does not allow. It is not cheap but being a huge cube fan, I love it! @NintendoFan4Lyf that's exactly what I did - I think it was about £8-10 for the adaptor. 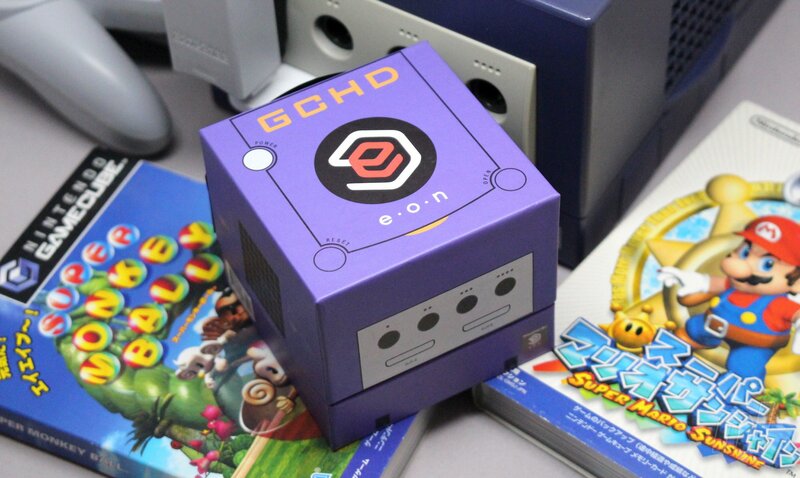 I love the look of the Cube but, like others here, I can't justify that price when I can play the games on my Wii. @Damo I found one thing in the article unclear. When you say "It's not quite as crisp as the image we're used to from our beloved OSSC" how are you connecting the Cube to the OSSC? Via RGB scart or component? 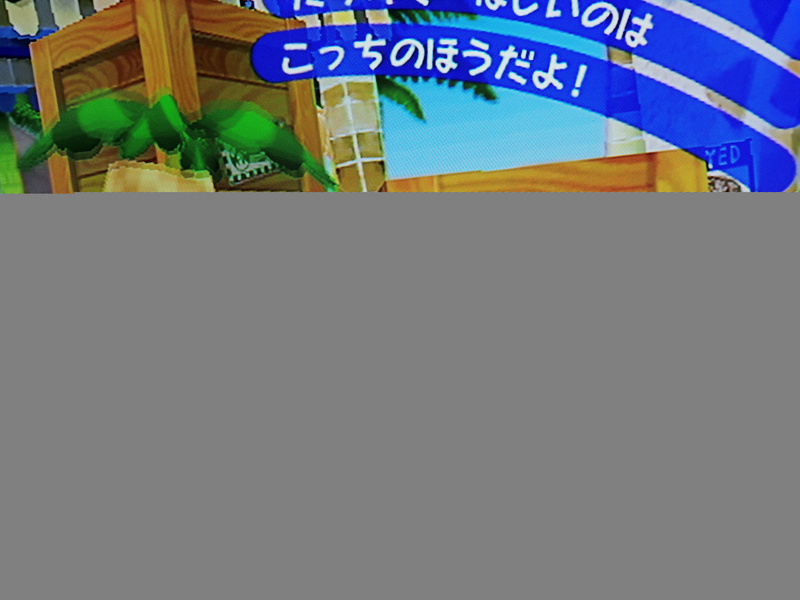 It is also worth noting that the OSSC introduces almost no lag which the line after that kinda implies it does. I assume this won't work with the q cube due to positioning of the outputs? @BionicDodo Sorry, I should have been more clear. 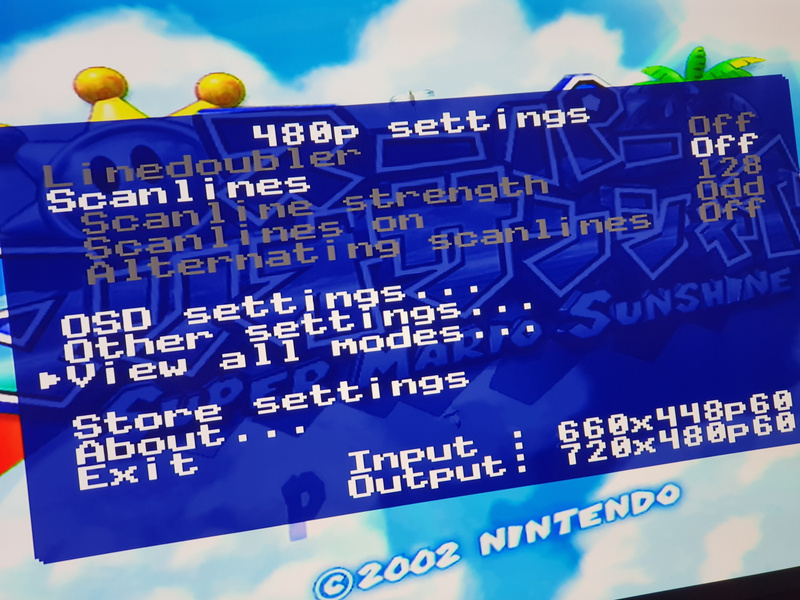 I don't have an RGB SCART cable for the GameCube so cannot connect the console to the OSSC - that comment was merely to give an idea of where the GCHD stands in terms of quality. I'm also fully aware that the OSSC doesn't introduce lag, but many other upscalers do. Oh. Oh my, no. That's Pokemon and Smash for that price. Price is always the issue with these for me. If you're looking for an alternative to the component cables you're not exactly looking to spend that kind of money. Is this useful for pal gamecubes? I read somewhere that this will not work as great with pal consoles because they do not have the 60hrz mode or something like that. this is no better than the very expensive component cables. why waste your time with this when you can play gamecube games via the wii with component or use dolphin and rip your discs to hard drive and play that way with all the features it has. waste of time on this overpriced junk. I have one of these, and I totally understand the issue some have with the price. But let me be very clear the difference is stark and instantly noticeable It works extremely well! Further, while it isn't cheap, it's much cheaper than hunting down authentic component cables, which I have seen on ebay at nearly double the price of this adapter. The image quality blew my mind. It was better than I remember on CRT TVs. The difference on a modern TV is overwhelming. Comparing the visuals between composite and this adapter via HDMI is like comparing a leftover piece of pizza from some convenience store to fresh made pizza at your favorite Italian restaurant. It might technically be the same food, but it's worlds different! This is the best way, right now anyway, to play Game Boy and Game Boy Advance games as well. Because you can run them through the Game Boy Player attachment on the Gamecube and it looks great as well! If you have multiple systems and the money, get a framemeister. @mikegamer I whole heartedly agree. But I love mine, and bought it years ago for about the same price as the adapter in the article. The decimator series of adapters, I have used and owned for working on films. Way lower price, small, low power draw, very simple plug and play, converts a signal both ways. @Nessmissesmum It works, you just have to cut off the piece of plastic that goes into the analog port. @Heavyarms55 I don't have one of these, but I came here to post pretty much the same thing. 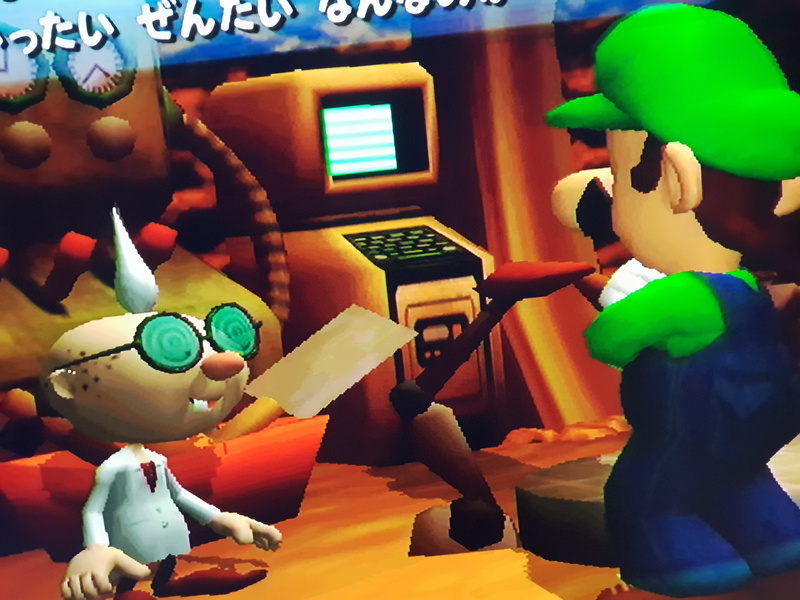 I play my GCN games on my Wii because GCN component cables are absurd. I've seen them go for $300 on eBay. So yes, this adapter is not for most people - but if you're the type of person that was looking for a higher quality image, this is a great alternative to the component cables. I still hope someone reverse engineers the component cables someday, so I can use my GCN on my CRT via component. Until then, the Wii and upscalers/this adapter will have to suffice. I just recently hacked my Wii U and play my GameCube games there. Even my Wavebird works with the GC adaptor on the Wii U.
I see a lot of people say use a Wii. I have a few counterpoints to that. 1. Wii2HDMI adapters are cheap as hell, they are about the worst picture quality you can get out of the Wii. If all you care about is HDMI and not the quality these will do the trick. If you care about picture quality and still want to go the cheap route you are better off using component out of a Wii. 2. 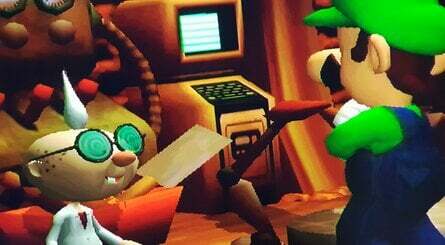 The Gamecube actually outputs better video quality than the Wii. It outputs a clean digital signal, the Wii only outputs analogue. 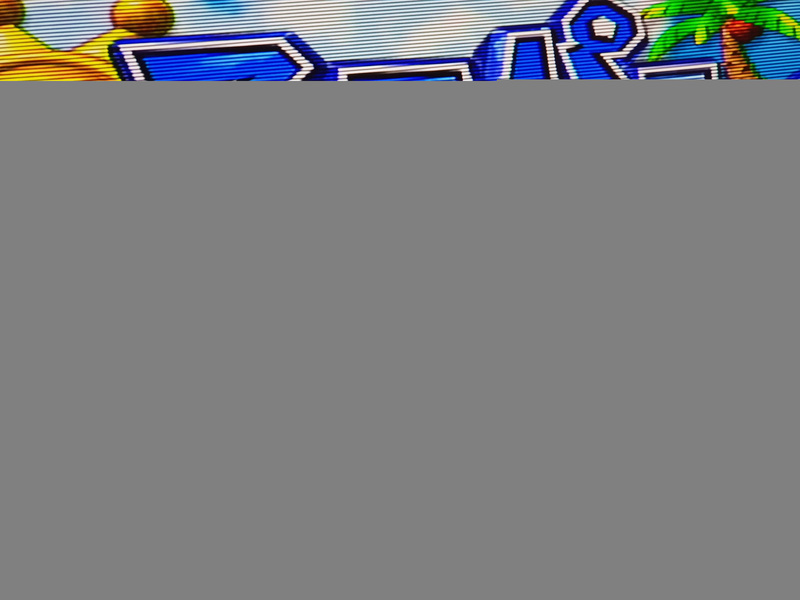 Gamecube games look noticeably less blurry in 480p out of a Gamecube vs 480p out of Wii. 3. 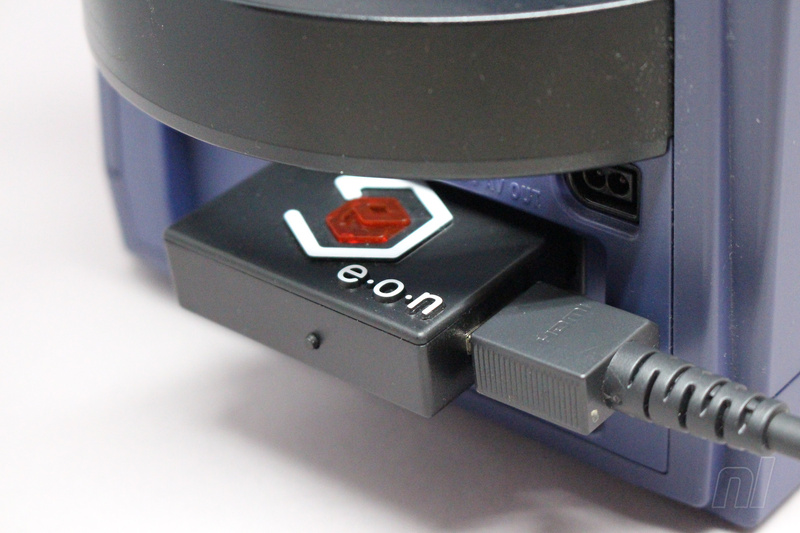 Those with Gameboy player will also get progressive mode with HDMI on the Gamecube. 4. 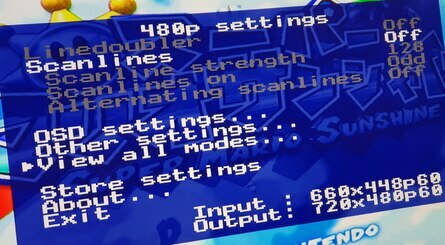 The Gamecube HDMI solutions offer line doubling for 480i to 480p. The games look a little bit better, better than what comes out of the Wii for sure. The elephant in the room is the price. Personally I feel it is ridiculous. I have noticed they are promoting their product a lot lately since a solution that is half the price has come out. I have one of these more reasonably priced products and I love it. Thank you for doing some pictures on a plain background as well this time! Looks like a neat little thing but woah it's pricey! a component video to HDMI adapter or a composite video to HDMI adapter work just as well. and they are much cheaper and can be used with a a wider range of devices. @HobbitGamer I KNOW! On the Switch!!! I'm still waiting for GC VideoX. I've been waiting for years. @bazzaro I've never heard of the CARBY. Do you recommend it? EDIT: I just bought one. The price was right. They stock the Carby which is half the price. Glad it is available in England as well. The price of this really shows what a good price the Analogue Super NT is. For not much more you get a brand new high quality clone console along with your HDMI output! With this you just get a box that looks like a console. @Aurumonado I love it, only had it a couple days because it just came out. My understanding is all these Gamecube HDMI solutions run off the same open source firmware, with permission. @stevenw45 A signal that starts as composite can never be as good as this. The objective here isn't just to get the output into an HDMI input on a TV but to get the highest quality video signal possible. Don't get me wrong though, it is too expensive. I've been aware of this for a while but it's a bit pricey and it requires an older GC model. Still, this is great for people looking to go HD with their GC games. I use a hacked Wii to get around the same picture quality and it looks great, but I'd gladly buy this adapter if I could afford it just to enjoy better visuals with the GB Player. Anything above £50 is too much for me. Can still play my GameCube as fortunately my TV has SCART sockets. I get used to the picture quality after playing for a short while. Since nobody else has mentioned it, what about that ridiculous price! Are component connections really becoming that rare on new TVs these days? This thing doesn't even upscale to HD, so why would I need this device when I can just plug in my trusty component cables instead? @roadrunner343 Replacement GameCube component cables are how much?! Wow, I'm glad I've never lost or ruined the ones that came with my GameCube. I was interested in this right up until I saw that price tag. @Fuz rather get the Carby for £75 as £162 for that is crazy money. @BulbasaurusRex Yeah - it's not so much the component connections on a TV - though they are also becoming more rare as well. The biggest issue is that the Gamecube component cables have some special circuitry in them that has never been reverse engineered, which is why you can't find check $5 clone cables. It's quite obnoxious. Still, for my money, Wii component will work just fine. And I'm the type that typically doesn't mind paying for higher quality and I've modded many of my own systems. In this case, it just doesn't seem worth it. Around 170 dollars (I live in the US so we don't have pounds) is way too much. If it was about 60 dollars (approx 45.39 pounds) I would be fine, But I don't think I'll get it anytime soon if it stays at that price. @roadrunner343 Yeah, the Wii's backwards compatability is a lifesaver in this case. The only issue is the GameBoy Player. It's always been a wonderful accessory and still the only convenient way to play GBA games on a TV screen aside from the ones that are available on the Wii U Virtual Console. Once again, I'm glad I've still got my cables.